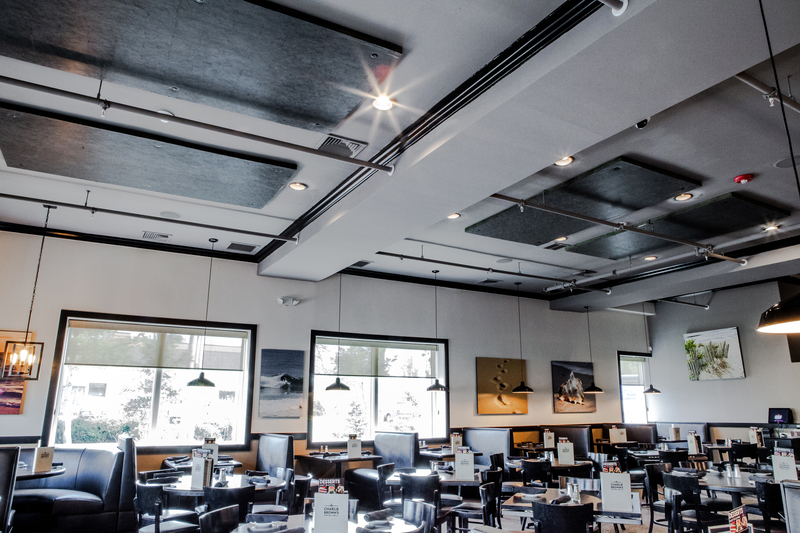 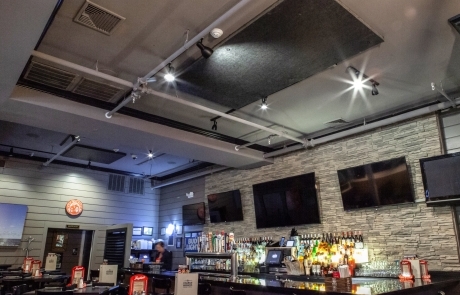 Our NIGHT Panel offers an inexpensive way to treat a space that requires a black ceiling with excellent acoustical absorption performance. 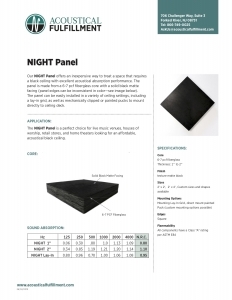 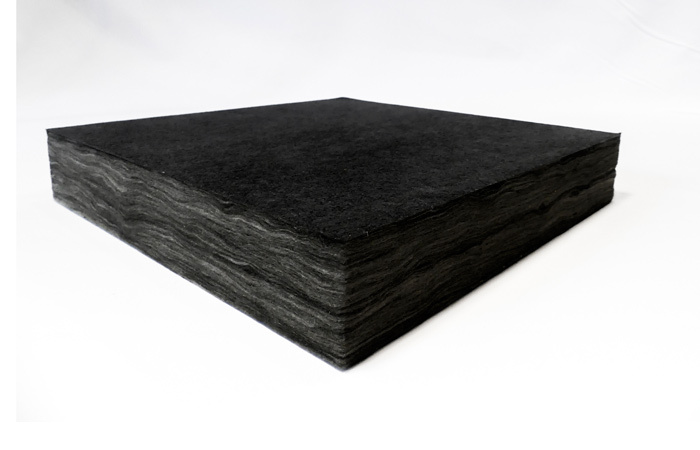 The panel is made from a 6-7 pcf fiberglass core with a solid black matte facing (panel edges can be inconsistent in color — see images). 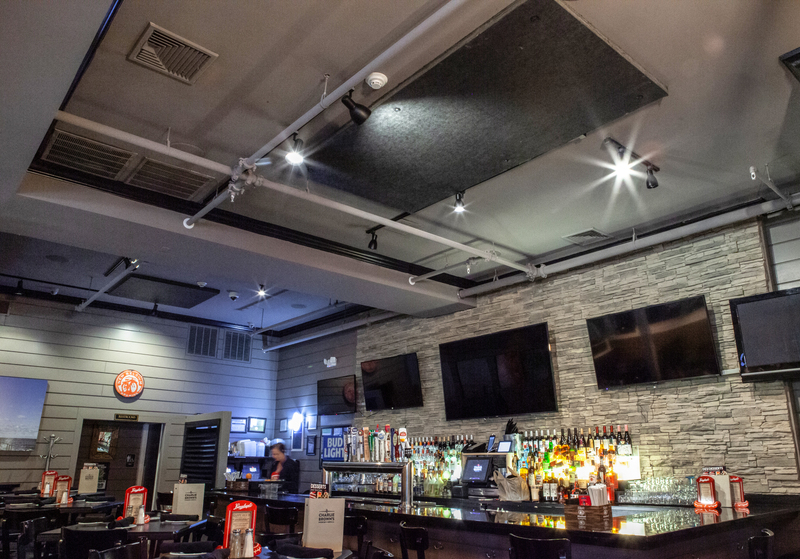 The panel can be easily installed in a variety of ceiling settings, including a lay-in grid, as well as mechanically clipped or painted pucks to mount directly to ceiling deck.